The Parole Board rejected the petition of convicted murderer Clyde Giddens, who in 1963 killed a woman he blamed for the dissolution of his marriage by stabbing her, chopping her body into piece that he fed to dogs and then burning her remains along with her house, for a medical furlough to a nursing home today. 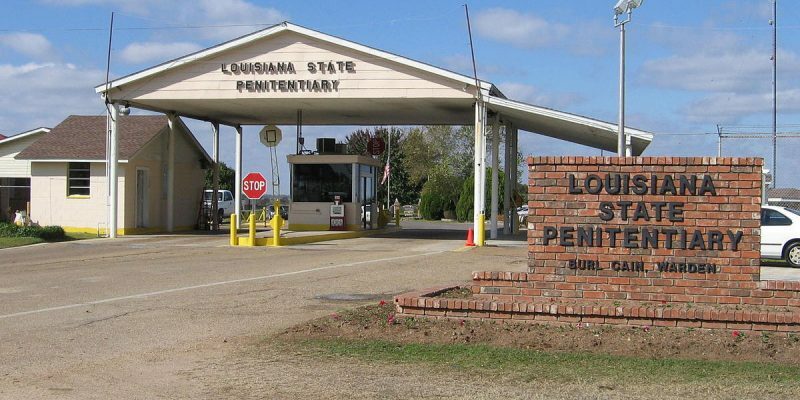 Giddens’ plea came as a result of the criminal justice reform passed last year, which provided a new avenue for his latest attempt at release from the Louisiana State Penitentiary at Angola. He’s made 15 such attempts, and for some reason this latest one was endorsed by Louisiana Department of Corrections head Jimmy LeBlanc, whose department has come under intense scrutiny after several documented cases of corruption and incompetence. The Giddens case came to prominence in the past week after the family of his victim did an interview with KTBS-TV in Shreveport in advance of today’s parole hearing and U.S. Senator John Kennedy wrote a letter yesterday strongly recommending Giddens’ petition be denied. Also coming to light was the fact Giddens lied in an interview with Baton Rouge Advocate reporter Tyler Bridges for a syndicated story appearing first at the Washington Post about the criminal justice reform package passed last year. In that interview Giddens claimed he was in prison for killing a man in a bar fight, and Bridges failed to fact-check the lie before publishing it to a national audience.